CUSHING, OKLAHOMA – In 2019 Stroud Safety will be celebrating 30 years in the motorsports safety business. Thriving on customer service and the best “Made in America” safety products. Based out of Oklahoma City, Oklahoma, just 90 minutes from Moline Motorsports hometown of Cushing, OK. With less than 20 total employees and the majority of those being in production, Stroud Safety is a small business with a large impact. Putting racers safety first, Stroud is able customize all of their products to meet your needs. From seatbelts to firesuits to parachutes, all items are tailored to the racer and their combination. As a staple in the safety industry across the United States, Stroud is expanding their trackside dealer support. 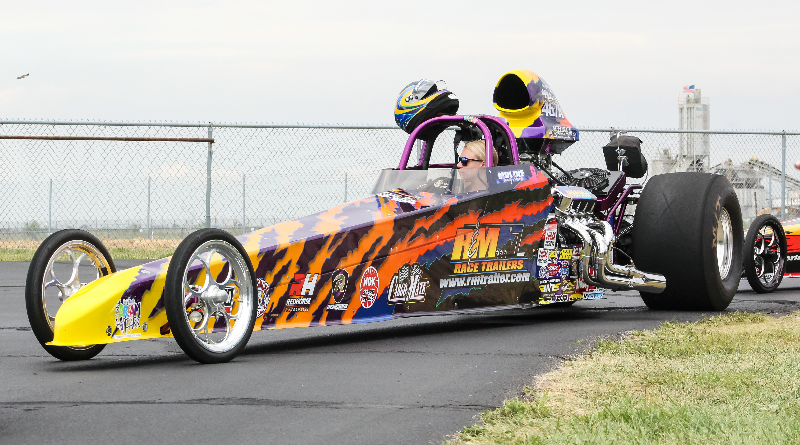 Moline Motorsports will be handling trackside support at many NHRA division 4 & 5 Lucas Oil Drag Racing Series events, along with many bracket races. A variety of items will kept in stock on the trailer but, that is not all. Moline Motorsports will assist customers with new products, custom suit measurements, packing parachutes, and operation of all Stroud Safety items. The partnership between Moline Motorsports and Stroud Safety is more than just trackside support for current and future Stroud Safety racers. Moline Motorsports will be assisting Stroud Safety in development of more female specific safety items. Stroud Safety is well known for their custom fire suits, everyone is different and when it comes to safety it is not a one sizes fits all. The Stroud Safety “Athena” line of fire suits are developed just for women and how a woman is built. All suits available through Stroud Safety now are custom fitted for each driver, and can be tailored and resized within reason if needed. Contact Keisha or Richard Moline with R&M Race Trailers today to get your new Stroud Safety items! Moline Motorsports will be able to assist with Stroud Safety sales and questions even when not at the track. You can also find more about Moline Motorsports on Facebook and Instagram @molinemotorsports. If you’d like more information on this topic, please contact Keisha Moline via email keishamoline@gmail.com.